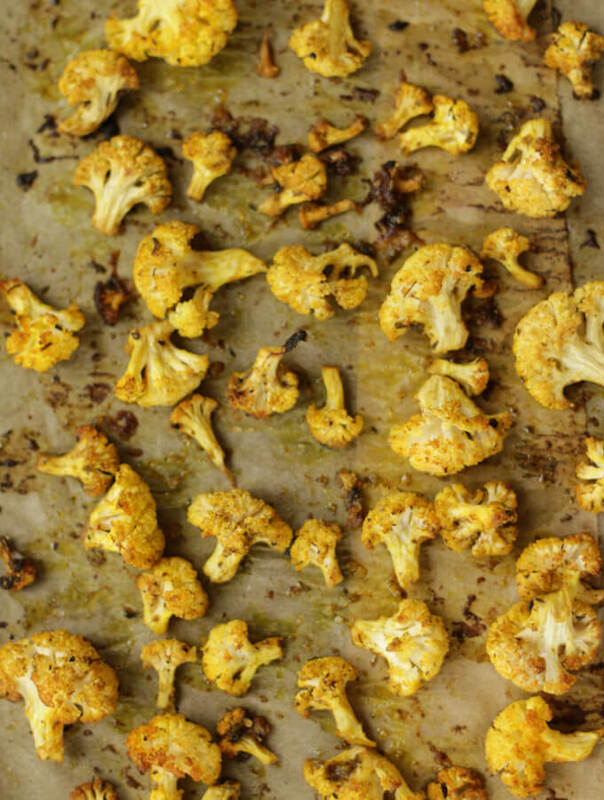 You have to try it to believe me: Roasted cauliflower makes a great party appetiser! Yes! I checked again, I am talking about cauliflower for a party! Cauliflower florets brushed with a simple lemon dressing and roasted, this zesty lemon roasted cauliflower make a healthy and delicious appetiser. Try it. You will be pleasantly surprised like I was, when I made this recipe the first time. 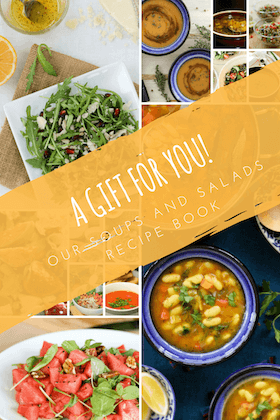 This recipe is easy and mostly hands-off. The dressing is a quick fix made by whisking together lemon, olive oil and spices. Just toss the cauliflowers with the dressing and roast. When making this for a party I can easily have the cauliflowers ready to go in the oven earlier in the day and then bake when it is 30 mins to serve. My love affair with cauliflower is fairly new. For a long time it was just one of the vegetables in a mixed vegetable recipe like a vegetarian paella. I turned to cauliflower when I had a temporary break-up with potatoes and wheat. In those 6 months, I discovered many faces of cauliflower — from a simple vegetable fry, to a pizza base, to a cauliflower mac and cheese! The more I experiment with this humble flower vegetables, the more surprises I discover. Cauliflower is part of the cruciferous vegetable family and is a cancer-fighting superfood, building your immunity as well as regenerating cells in the body. If you have been waiting to try cauliflower, let this simple recipe lure you. If you like it, please take a moment to rate it and/or leave your comments at the end of the blog. It will really encourage me to keep exploring, learning and improving. I use simple everyday spices for the roast. They will be closest to curry spice mix but you can also try with spice rubs like Italian mix or bbq spice mix. Cauliflower florets brushed with a simple lemon dressing and roasted, this zesty lemon roasted cauliflower make a healthy and delicious appetiser. 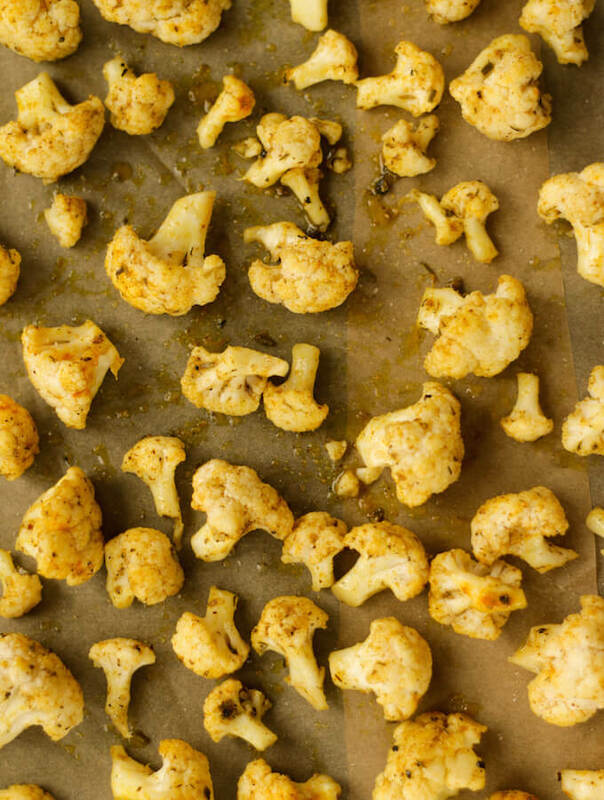 Soak the cauliflower florets in hot water with a little salt for 5 minutes. This is a practice that I have inherited from my mother and it helps to clean them thoroughly. In a large bowl, combine together the lemon juice, zest, olive oil and spice. Whisk. Drain and add the cauliflower florets to the bowl. Toss such that all the florets are coated with the dressing. Spread them on the baking tray and bake for 20 mins. Give the florets a turn and bake for another 10 mins or until done. 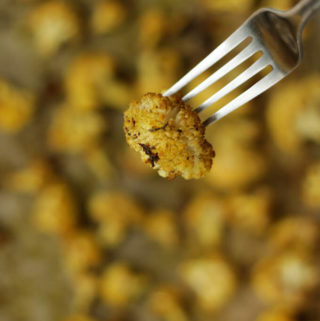 I love these roasted cauliflower florets just as is but you can serve them with a dipping sauce of your choice. I use simple everyday spices for the roast. For a twist, try with spice rubs like Italian mix or bbq spice mix.